I heard so much about 1 Caramel desserts that I have to go try it out myself. 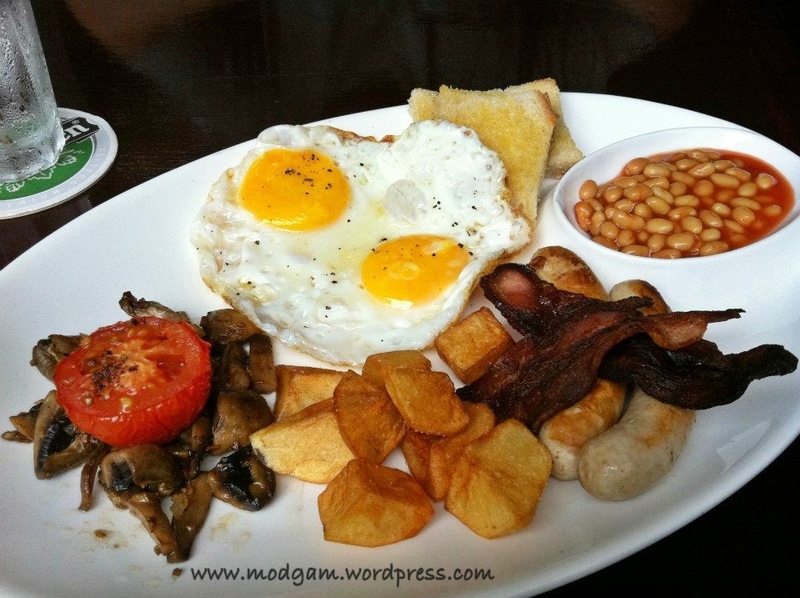 The place looks cosy with nice greenery around but they have a lot to improve on their service!! We had a hard time looking for someone to help us with just about everything; from our orders to refilling our ice water, to getting our desserts orders to having them served. Not a very nice experience and the guests at the table opposite us were literally shouting for attention and was yelling for staff on the upper deck (we were all seated on the ground floor) to attend to them. 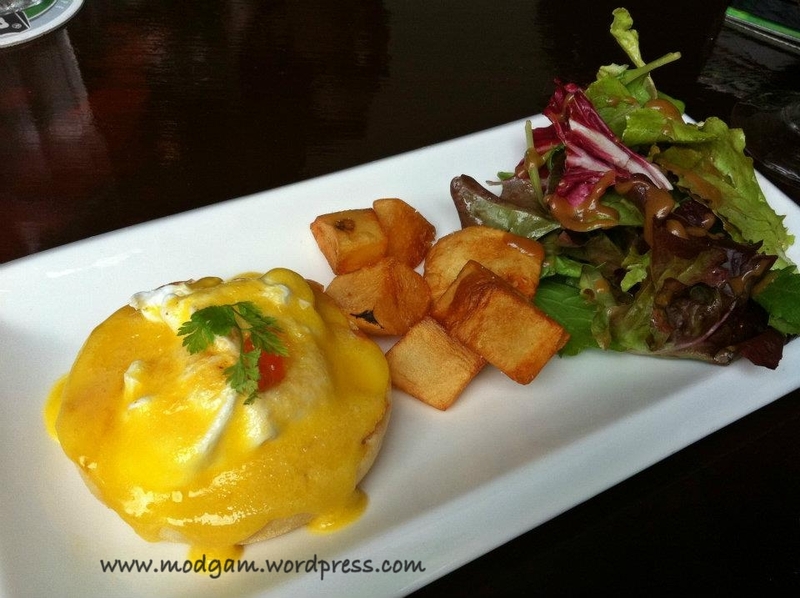 Set meal S$12.00 – consisting of a single salmon egg benedict with 1 caramel signature strawberry cupcake. 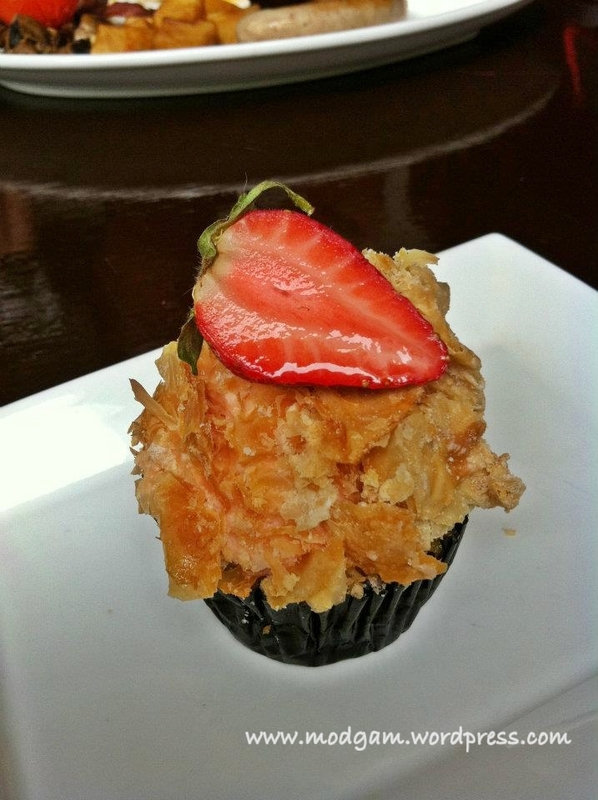 I liked the flaky pastry around the cupcake, very different from the usual strawberry shortcakes. 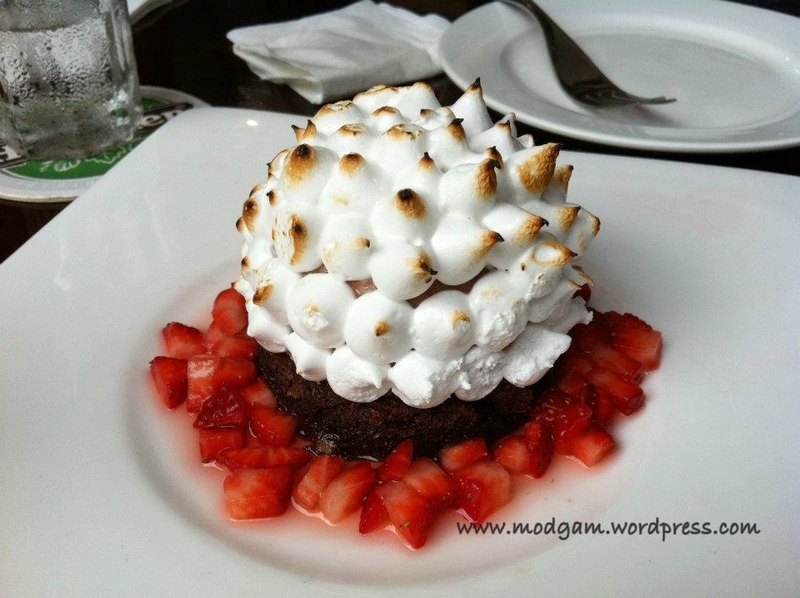 The Baked Alaska S$14.00 – comprises of home-made strawberry and vanilla ice cream capped with rum-flavoured Italian meringue, resting on nutty chocolate brownie. 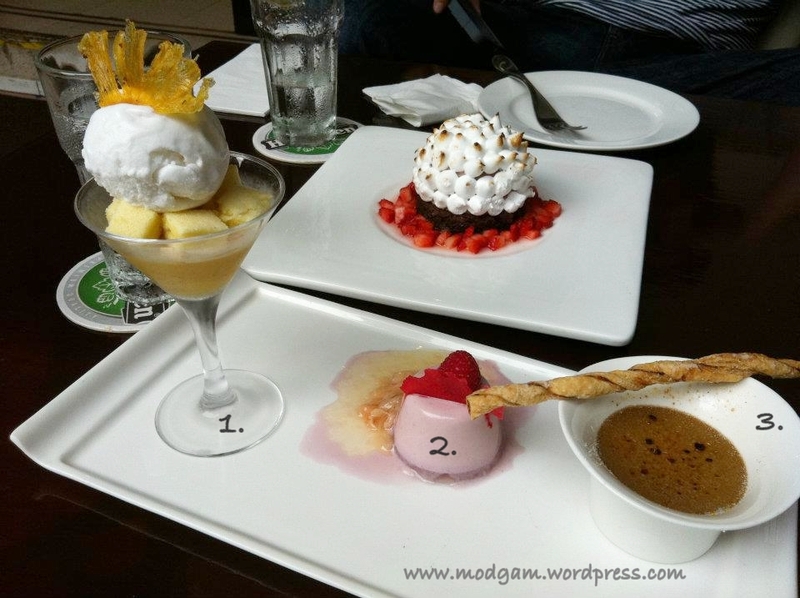 The 3 in one 1 Caramel Assiette S$16.00 – I chose Tropical Vodka Trifle, raspberry lychee rose panna cotta and the Earl Grey crème brulee. (I’ve labelled them in numbers for their detailed description). 1. Tropical Vodka Trifle – a creation of Pineapple Gazpacho Jelly, Pineapple sponge cubes with crystallized baked almonds topped with coconut sorbet. 2. Raspberry lychee rose panna cotta; cold pudding served with chunky lychee and lemon compote. 3. 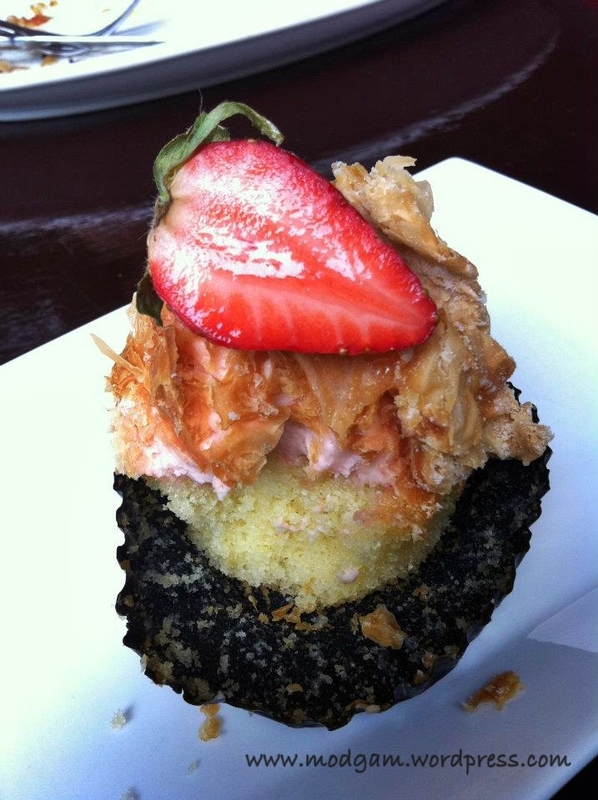 The Earl Grey crème brulee is an infusion of Earl Grey tea leaves in smooth custard.